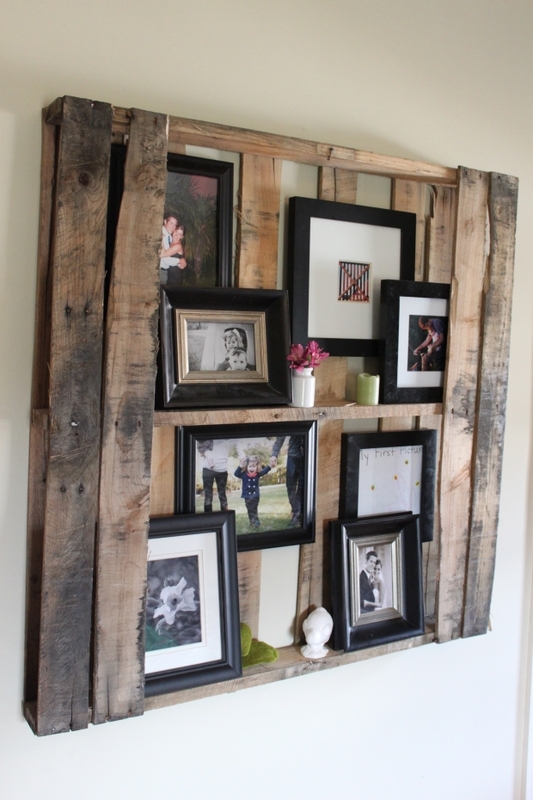 I have literally become addicted to the pallets since I have learnt the art of recycling the wooden pallet. Pallets give me plenty of pleasure when I work on them. 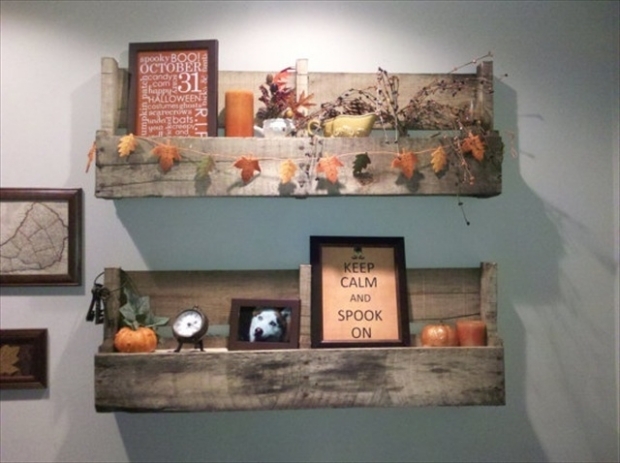 These pallet projects are best source of killing time for me. This is such a constructive activity that not only it gives me a great time pass, but also I always end up with something really useful that I love to utilize in my practical life as well. 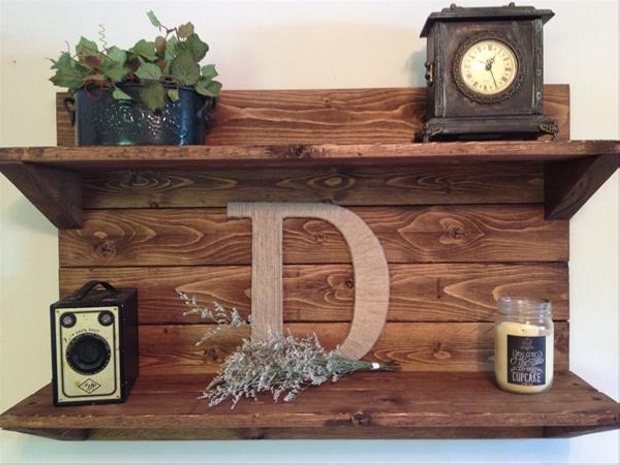 So today I am going to show you guys different ideas for pallet shelves. 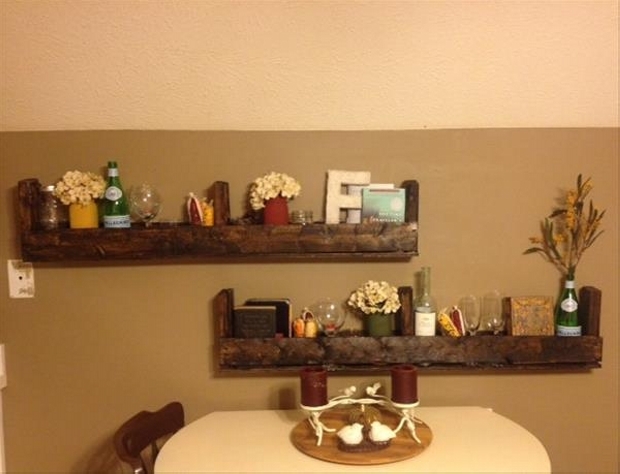 These shelves are a must have for every house hold. Here in the below project we can see a series of consecutive wall shelves which are similar in size shape and design as well. 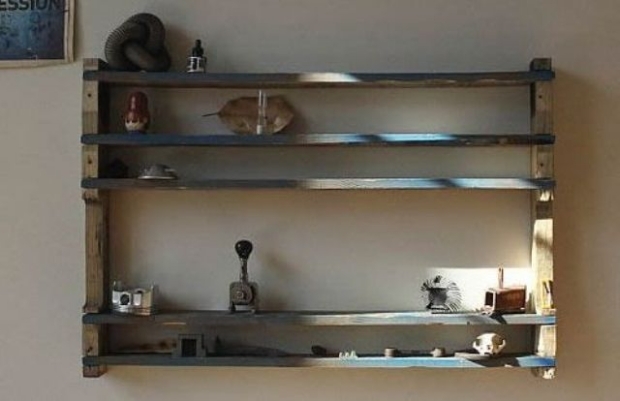 So this unified series of wall shelves is meant to be carrying our several accessories that we can not put into drawers or conventional cabinets. This room is so decently painted so the shelves should not affect the decency and sophistication of the room. There are also a number of paintings on the very next wall. 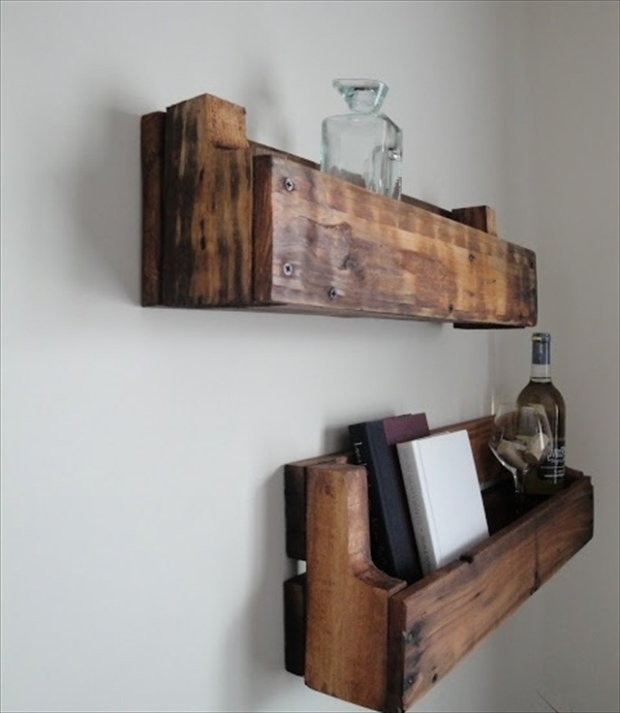 So in this idea the pallet shelves are left unstained so that they may compliment the rest of interior of the room. 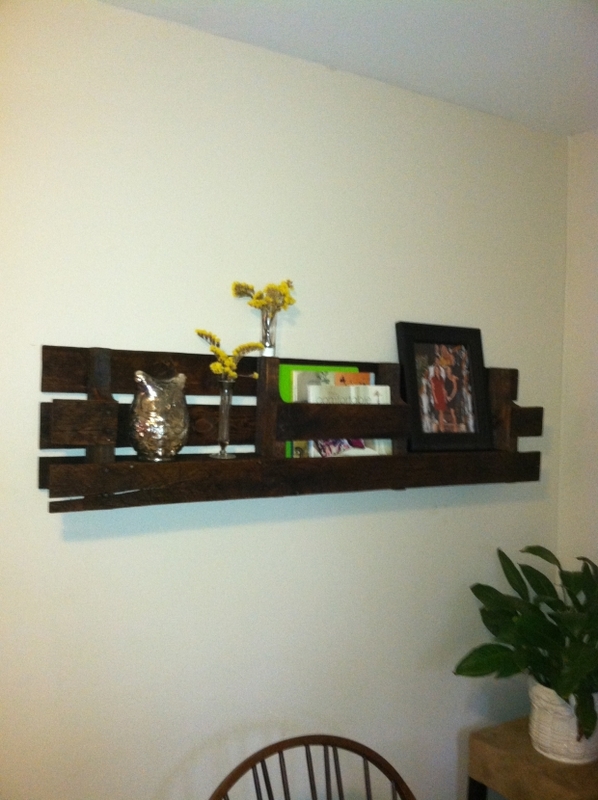 Coming towards our next idea of pallet shelves we see here a tall and huge pallet shelf. 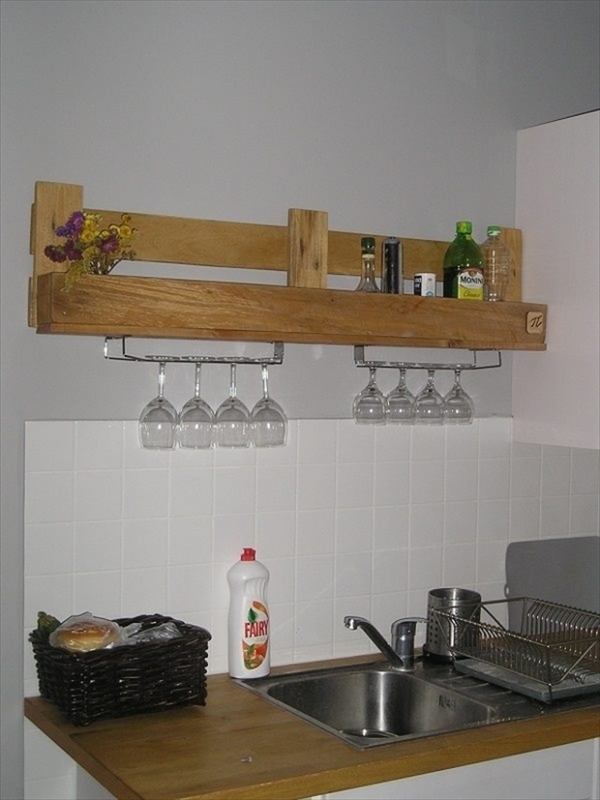 As we can easily find out that whole structure of the shelf is recycled with the wooden pallet. 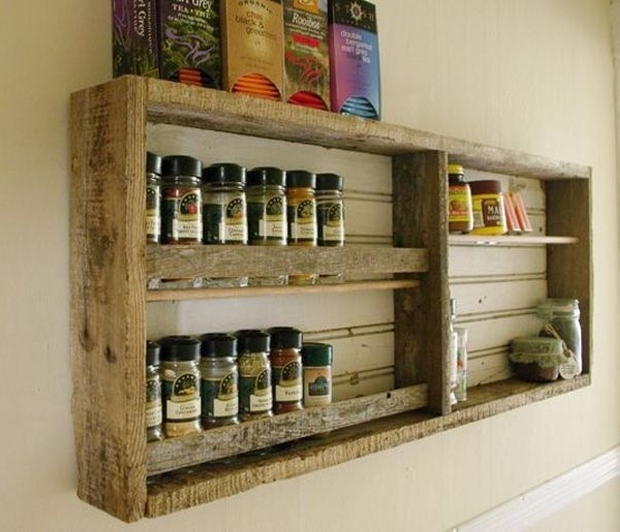 Some slim and straight wooden pallet planks are used in making this unique huge pallet shelf. 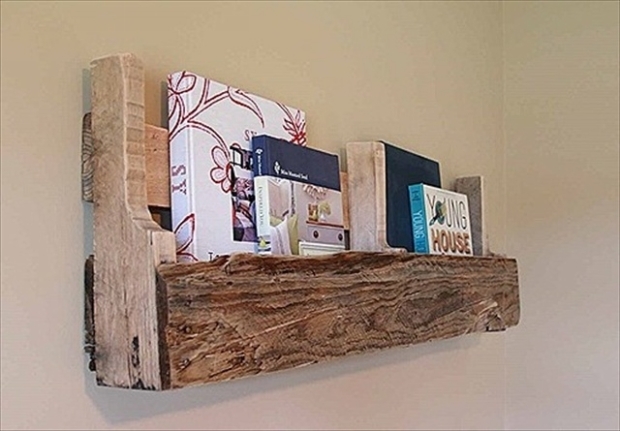 As it has a strong base on the bottom that can easily contain the body of shelf, so you can place it adjacent to the wall that you believe is perfect place for this pallet shelf. 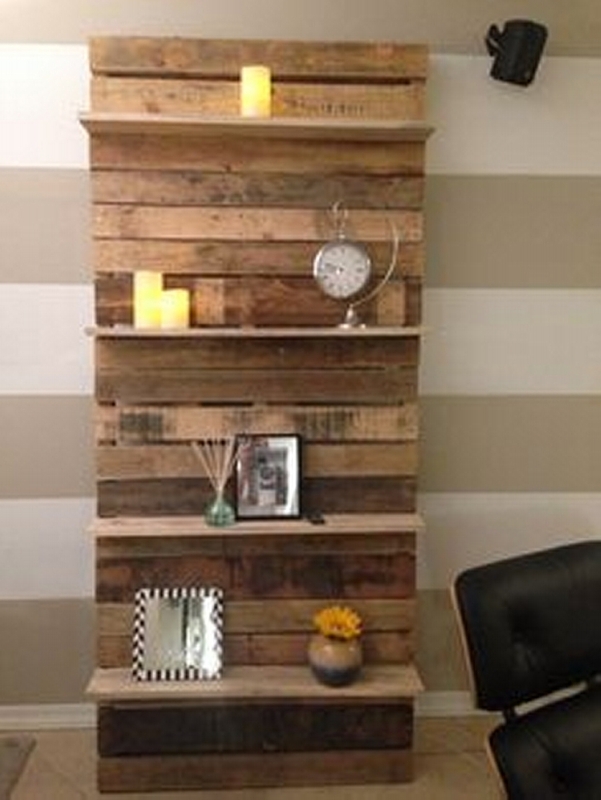 A plenty of accessories could be accommodated on this giant pallet shelf. 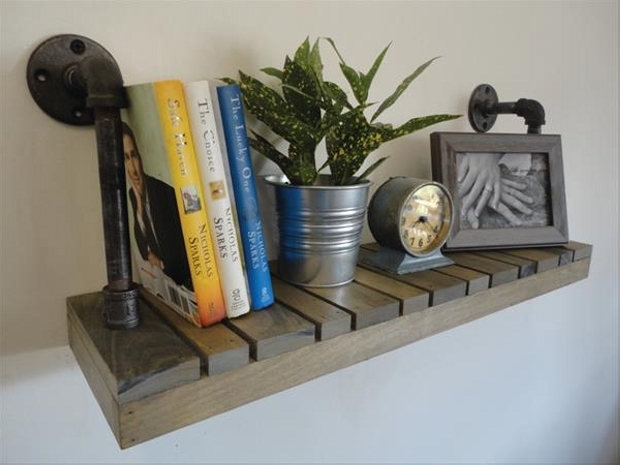 In the next pallet shelf idea we see a traditional wall shelf that is meant to be a must have for almost every house hold. You can not always keep your drawers and cabinets over stuffed. You have to go for the solution. 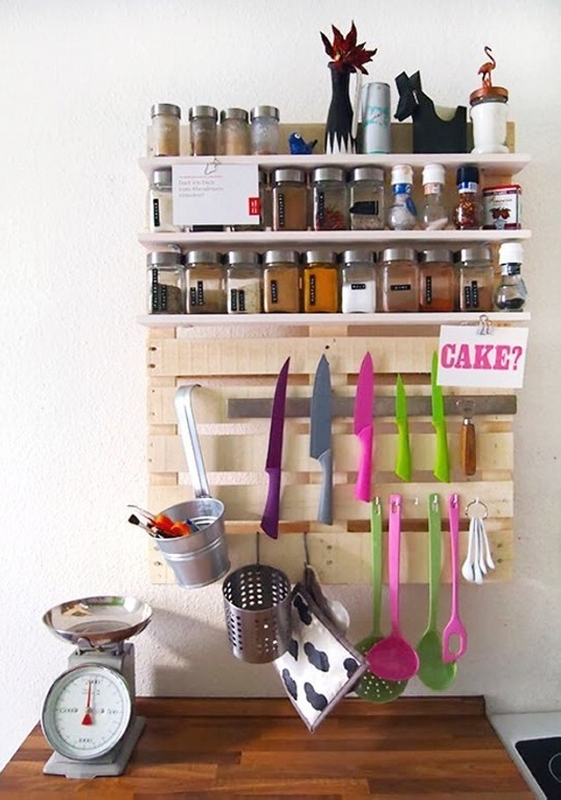 Usually we run short of space too, so this idea is also a great source of some storage hacks. The wooden pallets are shaped as a convenient rack and then they are stained as dark brown to match the rest of furniture lying there. 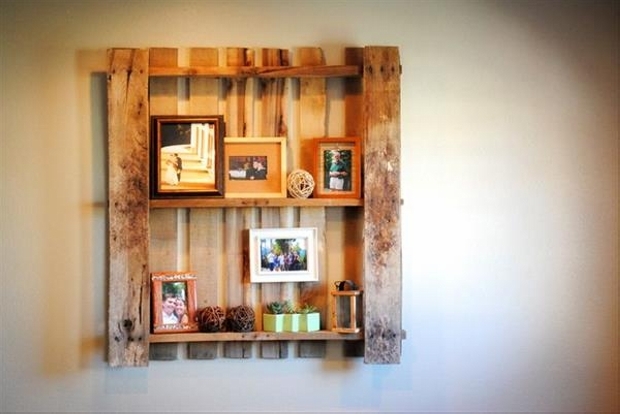 A perfect wall pallet shelf idea for a mediocre house hold. Have a look on this wooden beauty. 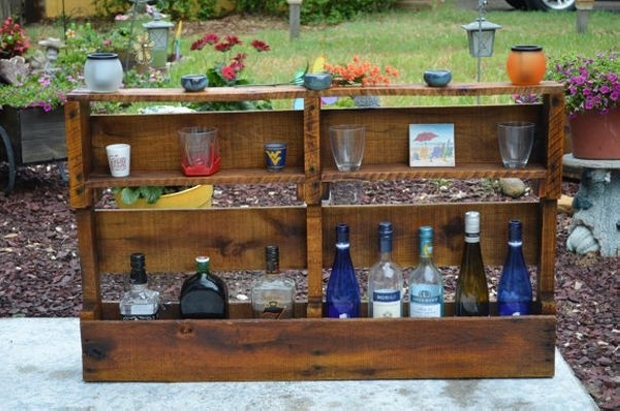 This is a pallet shelf that is designed to meet multi purposes at the same time. 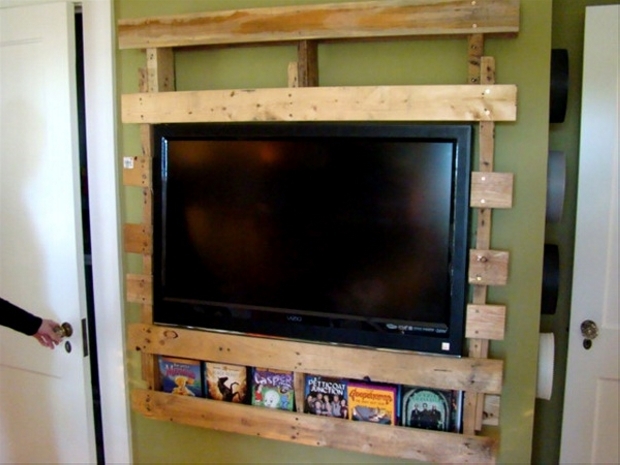 We see a pallet wooden TV cabinet that is containing the TV set, along with that, we also see a mini shelf which is a rack specified for the DVD collection. So this rack is basically a container of your favorite collection of DVD. 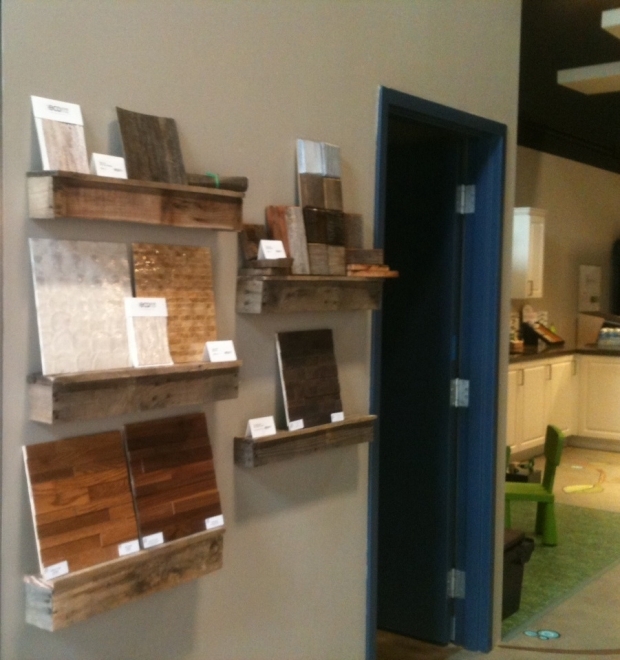 The entire idea is executed with the pallet wood free of cost. 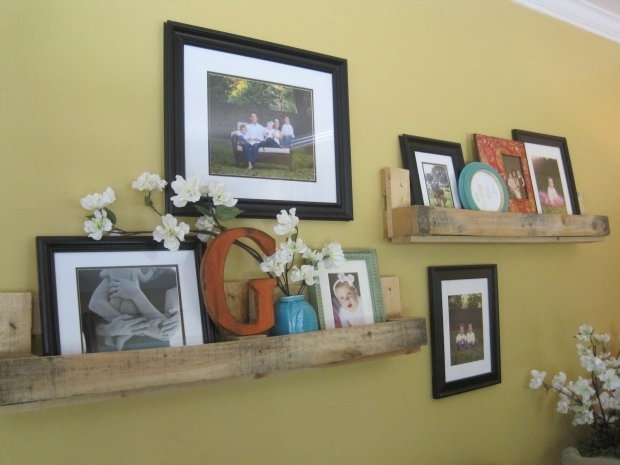 For sure this is a great multi purposed installation for your house, whole family is going to love this multi purposed pallet shelf idea. 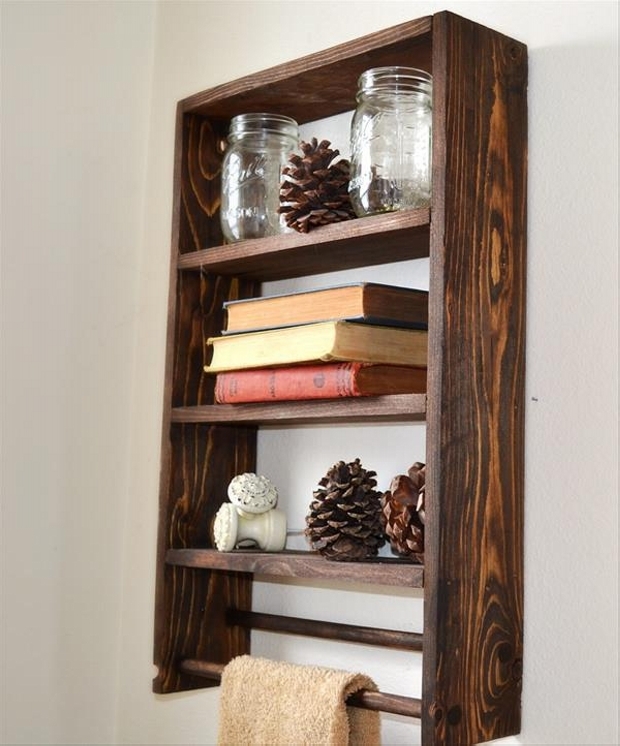 While we end up for the day having a vintage simple and slim conventional book rack or shelf. 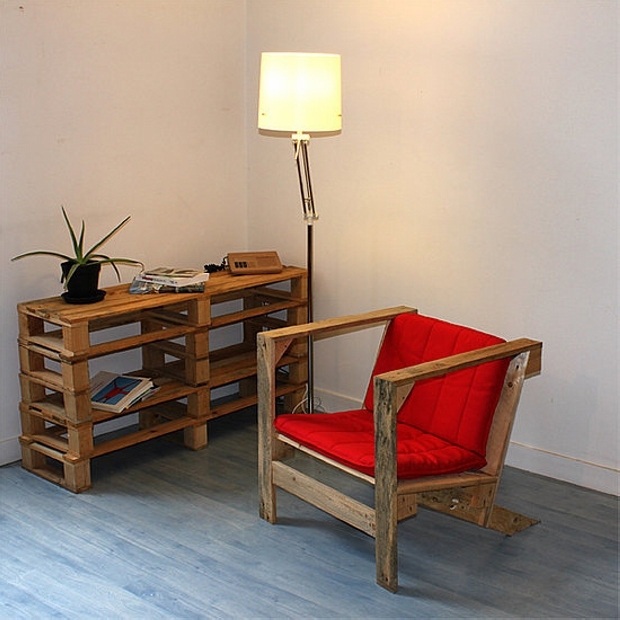 Some raw old pallets are used in making this wooden beauty. A trio of similar book shelves is installed along the wall. 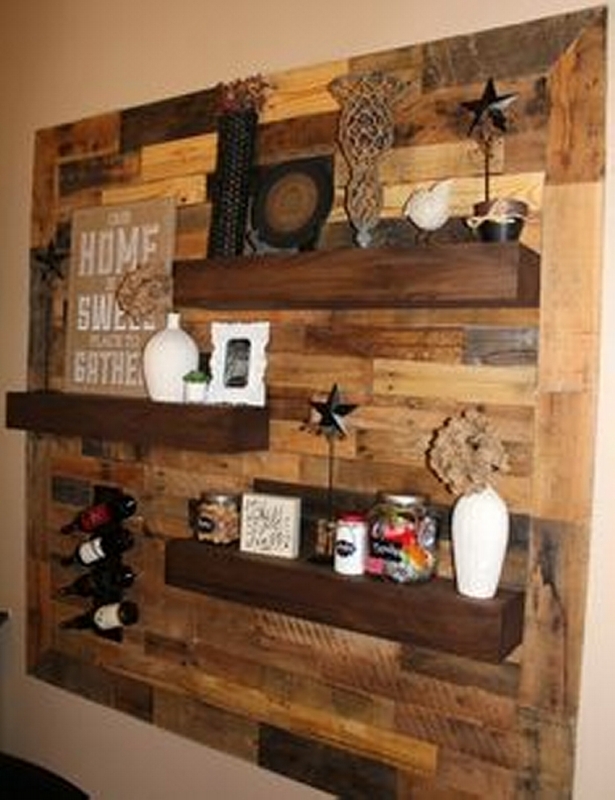 The whole idea is made with the pallet wood. 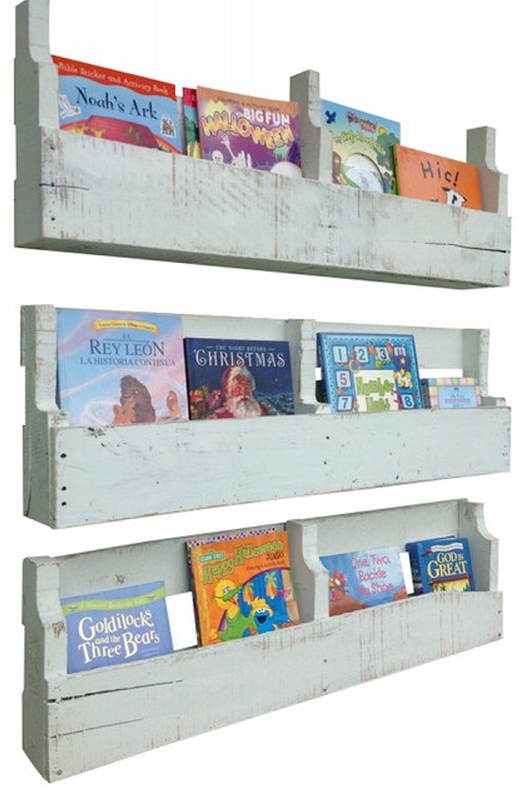 And plenty of books could be placed here in this smart pallet book shelf. 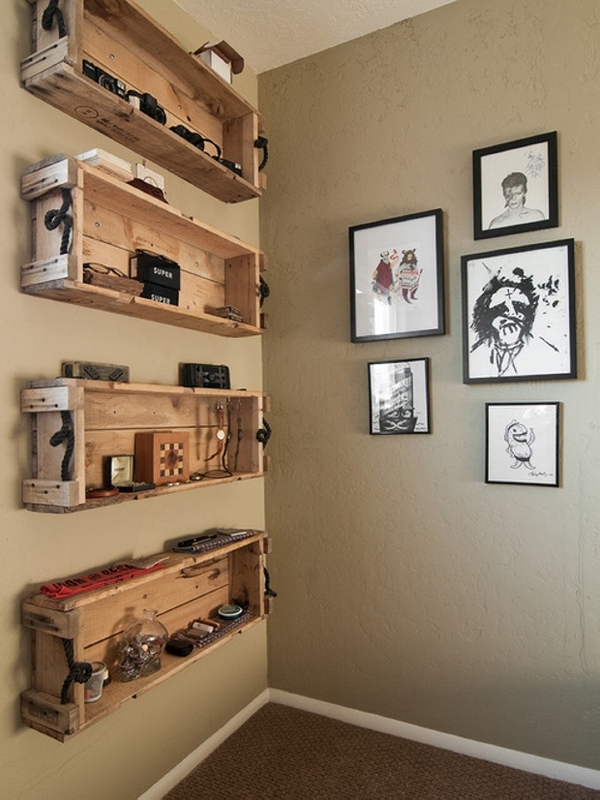 Every single pallet shelf idea here has its own merits and demerits. But all of them are pretty practical and handy to make. Have a detailed look and opt one for you.